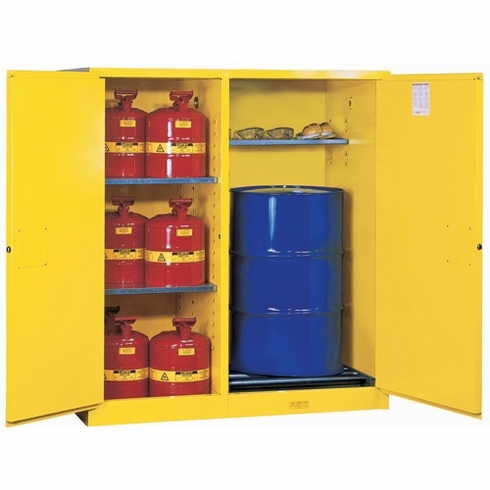 Justrite, Flammable Safety Cabinet, 115 Gal., Yellow, Item # 899260Justrite, Flammable Safety Cabinet, 115 Gal., Yellow, Item # 899260, For storage of larger quantities of flammable solvents, heavy-duty Drum Cabinets are available in a variety of styles and sizes. 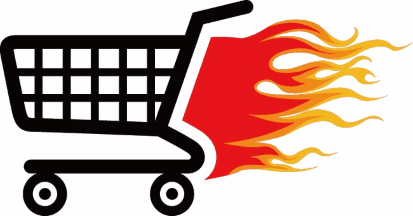 For storage of larger quantities of flammable solvents, heavy-duty Drum Cabinets are available in a variety of styles and sizes. Built to the same high standards as regular safety cabinets, these cabinets are designed to house one or two 30- to 55-gallon drums. Cabinets for vertically positioned drums are available for single or double drum storage, while horizontally positioned drums accommodate a single drum with a drum cradle. Drum Cabinets feature a half-depth shelf to enable access to drum pumps and funnels while providing additional storage capacity. 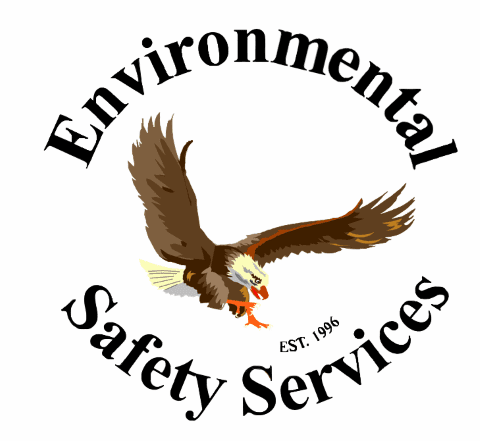 A full array of drum accessories and equipment is available to ensure maximum safety when storing and handling drums of hazardous materials. Made from Galvanized steel Powder coated Yellow, Manual closing doors, OSHA, NFPA Code 30, (4) Level Adjusting Feet and Hazardous Warning Label, 65" High, 3 Shelves.